Choose a sunny spot for your tree (approx. 6 hours direct sunlight a day). Acid cherries will tolerate some shade. Cherries grow particularly well in southern and central England. Cherries will grow well in almost any kind of soil, but avoid soil that stays soggy for extended periods. Spreading a layer of mulch over the soil around your tree will help it grow better. Some cherry trees cannot pollinate themselves and will need pollination partners. Others are self- fertile. It is preferable to grow cherries from a rootstock as it can take 10 years or more to obtain the first fruits from a cherry grown from seed. Cherries are now available as a dwarf rootstock, growing to approx. 10ft, instead of the usual 40ft, allowing you to cover the tree with bird netting to protect your crop. Cherry trees should be planted between November and March. Mulch in late February with well-rotted organic matter. Keep trees well watered during the early stages of fruit development. Apply potash if fruiting is poor. Cherry trees flower early in the year, the flowers will need protecting from frost. Cover with horticultural fleece if frost is predicted, however remove during the day to allow access to pollinating insects. Sweet cherries will fruit on one-year old and older wood. Formative pruning takes place in spring as the buds begin to open. Established trees are pruned from late July to the end of August. Cherries are not totally disease free. Sweet cherries are susceptible to a disease called brown rot. This can be prevented by pruning in between branches to allow good air flow, be scrupulous about cleaning up blossoms, fruit and leaves that might have been affected. Sulfur is an organic method for brown rot. Spray when the flower buds are pink, when the flowers are open, when the petals fall and once again about 14 days later. Cherries can also be affected by Silver Leaf, a fungal disease of the wood and leaves, causing a silvering of the leaves and death of the branch. The fungus produces most of its infectious spores in autumn and winter. Prune susceptible plants in summer when not only are there fewer spores, but pruning wounds, the main point of entry for the spores, heal more quickly. Cherries will shed fruit that they do not have the resources to bear, known as cherry fruit drop or cherry run off. Pruning trees to give an open canopy, maximising light to the leaves and increasing the photosynthetic rate is likely to minimise the fruit drop. Thinning the cherries is also an option, creating a balance between the supporting leaf and the fruit, thus increasing fruit retention. Sweet Cherry- ‘Stella’ : Black, large , rich, high quality fruits, regular heavy crops; self-fertile. Late season; harvest in July. Acid Cherry- ‘Morello’: Self-fertile , dark red fruits, excellent for preserves and tarts. Attractive blossom, heavy crops, late season; harvest July and early August. 1) Mix 150g sugar, butter, flour, salt, baking powder and milk together. Place cherries in bottom of 23cm square tin. Spread topping over cherries. 2) In small bowl combine 200g sugar and cornflour, stir in boiling water, pour mixture over topping. 3) Bake for 45 minutes, serve warm with vanilla ice cream. Bing cherries- the most widely grown variety of sweet cherry in the U.S.A.
Here’s another profile of a food plant produced by one of the participants in the ‘Grow your Own’ course I ran at Foulsham, Norfolk. Black Hamburg is a popular, outside, late grape that can be used for desserts or wine making. Planting- Dig a large hole, adding plenty of farmyard manure and water well. Plant bareroot vines in winter, but containerised specimens can be planted at any season. Location- Vines like to grow on a sunny, south or west wall. Support the vines with horizontal wires held in place by vine eyes, about 12”- 16” apart. Growing – Allow about three stems to grow vertically during the first year. Pinch out shoots that grow from the side to one leaf. The next year in spring aim to have a shoot every 6”. When fruits appear thin out to one bunch every 12”. Remove some of the foliage to improve air flow. Feed with high potash. Vines can be affected by scale insects, vine weevil, downy mildew and mould. When harvesting avoid touching the fruits, cut each bunch with a ‘handle’ (2” of stem). Beware – Do not park your car under a grape arbour- they damage the paintwork! Grapes are also poisonous to dogs. Add 1 cup of water to pulp, bring to boil cover and simmer for 5 mins. Press through a sieve to remove seeds. Chop or grind skins, add to pulp. Measure 6 cups into a very large saucepan. Then make jam, add powdered pectin to the fruit in pan and mix well. Bring to hard boil over high heat, stirring constantly. At once stir in the sugar. Bring to a full rolling boil and boil for 1 minute, stirring all the time. Remove from heat and skim off foam with a metal spoon, then alternately stir and skim for 5 mins.. Cool slightly, ladle into jars, cover jam at once. Makes 6 half pound jars. For spicier jam add 1 teaspoon each of cinnamon, ginger and allspice to the grapes before simmering. Another guest article by one of the participants in the ‘Grow Your Own Food’ course I ran recently in Foulsham, Norfolk. Raspberries – A superfood that tastes better than spinach-what’s not to like?! Antioxidant and anti-inflammatory phytonutrients in Raspberries may have anti-cancer benefits and assist in the management of obesity, though possibly not if eaten with oodles of cream. However, raspberries are among a small number of foods that contain measurable amounts of oxalates. When oxalates become too concentrated in body fluids, they can crystallize and cause health problems. For this reason, individuals with already existing and untreated kidney or gallbladder problems may want to avoid eating raspberries. So…everything in moderation, even raspberries- unfortunately. There are two types of raspberry available to the kitchen gardener. Summer-fruiting varieties will crop at any time from the beginning of July to early August on stems of last season’s growth; autumn-fruiters bear their berries over a longer period – from mid-August to the first frosts – on the current season’s growth. Both are similarly easy to care for but require slightly different pruning techniques. As long as you know how to wield your secateurs around them there is little mystery to growing these accommodating fruits and their length of service – up to 12 years – means they give a lot back in return. ‘Glen Ample’ AGM – Delicious, large fruit produced in mid-summer on this extremely heavy-yielding summer cultivar with vigorous, upright, spine-free canes. The berries are produced on long, upright stems, making picking easy. ‘Glen Moy’ AGM – This early summer raspberry bears heavy crops of medium to large berries, which have a good flavour. It may also produce a small crop on the new canes, in autumn. The spine-free canes are compact. ‘Leo’ AGM – This cultivar is one of the latest summer raspberries to ripen, producing large, firm fruits with an excellent flavour. The stems are very long, so harvesting is easy. Site in a sheltered position. ‘Malling Admiral’ – A summer raspberry bearing good yields in mid- to late summer on strong-growing, tall canes, which are best sited in a sheltered spot. The flavour is excellent, and the large berries ripen to deep red. ‘Autumn Bliss’ AGM – The short, sturdy canes of this popular autumn cultivar produce high yields from late summer to mid-autumn. The fruit is large and deep red with a firm texture and excellent flavour. ‘Polka’ – This new autumn cultivar ripens two weeks earlier than ‘Autumn Bliss’, bridging the gap between summer and autumn. It produces very high yields of large, well-flavoured fruit. Be prepared to put in a bit of effort to get soil conditions just right before planting: thoroughly dig down to a spade’s depth along a row 90cm wide. Turn it over and remove any weeds, especially perennial types (such as bindweed and horsetail) and their roots. Raspberries are shallow rooted, which means there won’t be much of an opportunity to weed as meticulously once the plants are in place, for fear of damaging their root system. They are also heavy feeders, so for every plant you intend to grow incorporate a bucketful of well-rotted manure or compost while digging, turning it all into the soil. Ideally soil preparation should be complete a month before planting; at the very least you should allow two weeks to give the earth time to settle. They might play second fiddle to their Wimbledon-associated cousins on shop shelves but on the plot there should be no such bias – raspberry plants crop reliably year-after-year and ask for little in return. They even thrive in partially-shaded areas where few fruit or vegetables would grow. And such is their hardiness that they will produce a bumper crop of their sweet, mildly acidic fruits even in disappointing summers – a valuable trait given the last few we’ve experienced. They’re a great choice for those gardening in cooler, northern climates – as they flower late in the spring there is little danger of them being damaged by unexpected late frosts. Position each cane into a shallow hole about 22cm wide and 7cm deep, spreading the roots evenly across the bottom. Backfill and firm in around them as you go, making sure that the soil mark on the canes is at least level with the surface and up to an inch beneath it – this will encourage extra root growth and quickly anchor the plants into place. Space them 45cm apart within the row, leaving 1.8m between further rows to allow room for the roots to spread sufficiently and enough space for picking. The tall, gangly canes will need to be supported, so set up a suitable support system at planting time. The best system is a simple post-and-wire set-up – hammer in two sturdy, 2.4m-high posts at either end of the row, 60cm into the ground and 3m apart. Stretch three galvanised wires horizontally in-between them at heights of 75cm, 1m and 1.5m. The top wire can be omitted if you’re growing an autumn-fruiting variety as they are much sturdier and require less support. Grow your own tip- If you only intend to grow a few plants you can do away with a complete post and wire system and simply position up to two plants at the base of a single post for support. As the stems grow upwards, tie them loosely to the post using garden string. Immediately after planting your canes, cut each one just above a bud so that they’re 30cm in height. By spring, new shoots will appear from the base of the old cane and these will need to be tied into the wires as they reach them. The original cane can be cut right down to about 3cm above ground level at this point, again just above a bud. Remove any weak shoots in this first summer and any appearing more than 20cm from the row. Be disciplined and remove any flowers that develop in the initial season too – the object of the first year is to establish a good base and allowing plants to channel energy into setting fruit will compromise this effort. In the following years pruning is simple, although it’s important to use the correct method depending on whether you’ve opted for summer- or autumn-fruiting varieties. The former should be cut right back to ground level as soon as they have finished cropping. At this stage there will already be plenty of new growth at the base of the plant and these will be the fruiting stems for next year. Tie them into your support system using garden string, so that each stem is spaced around 10cm from the last. Cut down any spindly stems or those growing away from the row. Towards the end of the growing season, loop over and tie in place any really tall stems to prevent them falling over in the wind over winter. In early spring, before growth commences, cut them back to a bud about 15cm above the top wire so that they are uncluttered and in a good position when they start fruiting. Pruning autumn-fruiters is much more straightforward – just cut back all of last year’s canes to ground level before growth starts in February. New shoots will appear from the base by spring and these should all produce fruit on the upper stem sections. Feeding and watering are pivotal to the success of a raspberry crop. Keep your canes moist and well-fed and, coupled with the correct pruning regime, you should be carrying away punnets full of berries. Watering is particularly important at flowering time, as the fruits swell, and during any dry spells. Applying a thick layer of organic matter as a mulch in early spring will help to lock-in moisture (make sure the soil is moist beforehand) as well as feed the canes. Be generous – make it at least 5cm deep and more if you can spare it. Any well-rotted organic matter such as compost or manure will do but avoid mushroom compost – it is alkaline and therefore unsuited to the acid-loving plants. Mulches will also help to naturally nourish the soil and stifle weed growth. As raspberry roots are very shallow and can easily be damaged by hoeing, any weeds that make it through the mulch will need to be removed by hand. New shoots that appear away from the main row or post are called suckers. It will be difficult to tie them in to the support system – instead, you should remove them by lifting them out of the soil, then use secateurs to sever them from the parent plant below ground level. Here’s the second article in the new series ‘Eat Me’. This one has been written by another of the participants in the ‘Grow Your Own’ course that I ran recently in Foulsham, Norfolk. The fruit of the strawberry is not a berry but rather is a pseudo fruit or accessory fruit; some would not even accept the definition as a fruit. Indeed what appear to be the seeds on the outside are achenes, each of which is really a single seeded fruit. The wild strawberry Fragaria vesca was the first to be grown and cultivated for its fruit until the hybrid ‘garden strawberry’ Fragaria x ananassa was bred in France in 1750. It is a cross between the North American F. virginiana and F. chiloensis from Chile. Fragaria is a flowering plant (Angiosperm) in the family Rosaceae. The Genus Fragaria contains about 20 species plus many hybrids and cultivars. The structure of the strawberry plant is quite typical of a member of the rose family, most noticeably when looking at the flower with its five petals. Whilst generally considered in this country as a very typical British fruit, it is surprising to find that the UK does not even make it in the top ten of the world strawberry producers. By far the biggest producer is the USA, growing about 1.5 million tons of fruit per year. Strawberries grow well in any fertile soil and respond well to the addition of manure or fertiliser. It is not advisable however to grow them in soil that has previously been used to grow potatoes, chrysanthemums or tomatoes, due to the build up of soil pests and diseases. Plants will grow well for four or five years after which they decline and do not fruit well. It is thus best to replace them when four years old but not to grow the new plants in the same soil previously used for strawberries, i.e. employ suitable crop rotation. Plant rooted runners or bought plants in fertile but well drained soil either in the ground, or in any form of container that can be suitably positioned in a sunny place and watered frequently. 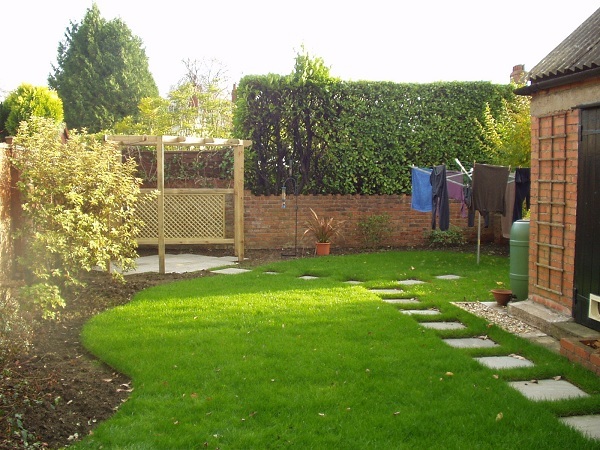 Plant in autumn or early spring but avoid cold wet weather and avoid areas prone to frost. Space plants about 14 inches apart with 30 inches between rows. Keep plants well watered especially in dry spells but take care not to rot the crown with too much water given from above. When fruits begin to form a mulch, typically straw, should be tucked underneath them to prevent rotting from the soil. Keep weed free. After cropping has finished remove old leaves and straw. If you will not be using them runners should be removed to prevent energy being wasted on them. In order to produce new plants with the same characteristics as the parent plant, it is best to use strawberry runners. The stolons or runners produced by the plant are a form of vegetative reproduction and so produces plants that are genetically identical to the parent. It is important to let the new plants remain on the runner until a good healthy set of roots has formed. Summer fruiting varieties– These are the most popular with large fruits over a short but heavy cropping period of a few weeks. There are early, mid-, and late types. Perpetual varieties – These have a much longer fruiting season but fruits are smaller and crops not so heavy. Fungus – Botrytis grey mould, powdery mildew, leaf spot, Verticillium wilt, and red core: remove dead material immediately, lower humidity around plants, remove weeds and prevent overcrowding. Pests – Red spider mite, seed beetle and vine weevil: use appropriate sprays or preferably biological control. Birds: use netting or preferably a fruit cage, bird scarers may help but generally are of little benefit. Strawberries have such a wonderful flavour that they are used in so many recipes that it is impossible to list them. They are best when picked fully ripe (bright red in colour) when the sun has warmed them, and they taste extremely good with a little sprinkling of sugar and some fresh cream. Given that they crop heavily over a short period, strawberries are often used to make jam. Note: This is the first of a series of articles on how to grow and use different food plants. It’s one of a number produced recently by particpants in a ‘Grow Your Own’ course I’ve been running in the village of Foulsham, Norfolk. I thought the work deserved a wider audience and hope that you find it useful. I’ll post other articles in coming weeks. Coriander (Coriandrum sativum), is an annual herb in the family Apiaceae. It is native to regions spanning from southern Europe and North Africa to southwestern Asia. It is a soft plant growing to 50 cm (20 in) tall. The leaves are variable in shape, broadly lobed at the base of the plant, and slender and feathery higher on the flowering stems. The flowers are borne in small umbels, white or very pale pink, asymmetrical, with the petals pointing away from the centre of the umbel longer (5–6 mm) than those pointing toward it (only 1–3 mm long). The seeds are often used as a spice or an added ingredient in other foods. Coriander enjoys a sunny position but appreciates a little shade during the hottest part of the day. Coriander has a tendency to run to seed if stressed. This is fine if the plant is grown for its seeds, but not if it is grown for its leaves. Coriander is best grown from seed directly into the soil. This is because it is quite a sensitive plant; transplanting young plants can shock them and cause them to bolt (run to seed). Prepare the soil thoroughly by digging it over, removing any weeds and incorporating organic matter, such as well-rotted manure or compost. Rake the soil so it’s level and sow seeds 4cm apart in drills 1cm deep. Germination of coriander takes up to 3 weeks. Young plants should be thinned to 20cm apart to allow them to grow to their full size. The soil should never dry out. If flowers develop they should be removed immediately to ensure the plants focus their energy on growing new leaves. Coriander should be re-sown every three weeks to ensure a continual supply during the summer. It is not normally necessary to feed coriander if the soil is well nourished. However, if the plants appear to be suffering they can be given a liquid organic feed to perk them up. Coriander does well in containers and can be grown on a sunny windowsill or balcony. The container must be quite deep as coriander has a long taproot. Scatter seeds on the surface of the compost and cover with soil, watering well. They may need more frequent watering as pots dry quickly. If grown for its seeds, wait until the flowers have died off before harvesting. Cut the stems and place the heads of the coriander in a paper bag, with the stems slicking out. Tie the stems and the bag together in a bunch and hang upside down in a cool, dry place. Wait for three weeks and then shake the bag. The dry seeds will fall out from the flowers and be ready in the bottom of the bag. Keep them in a dry place and re-sow the following spring. Coriander can suffer from root rot. Coriander doesn’t like its roots to be too wet so make sure the soil is well draining and don’t over water the plants. Water during the day and avoid watering in the evening. Coriander is a very aromatic plant, and as such it is usually free from pests, although slugs may have a chomp at the seedlings. In the UK, there are no serious diseases affecting coriander. The best way of storing coriander leaves is to freeze them. Freeze the tender stalks as well as the leaves. Try not to wash the coriander before freezing. . If you do wash it, then dry it as much as possible before freezing. Freeze only healthy green leaves – remove any that are yellow. Put the leaves and stalks in a plastic bag, seal it and put it in the freezer. When you want to use it, just take out as much as you need, and chop whilst still frozen. Then add it to your cooking. A slightly more labour-intensive method is to freeze the coriander in ice cube trays. Chop the coriander, and pack it into ice cube trays. Add a little water to just cover the coriander, and then freeze. Once it’s frozen, remove from the trays and seal in a plastic bag. Use the cubes straight from frozen. Coriander is a delicious and versatile herb, used in a variety of dishes including Indian and Thai dishes and salsas and salads. Both the leaves and the seeds are commonly used and have distinct flavours and uses. The leaves are best eaten fresh and the seeds are best eaten dried, toasted and ground into a fine powder to use as a spice. Method: mix together the tomatoes, cucumber, red onion, and chopped coriander, but don’t season until just before serving. Avoid planting near fennel, as they just don’t like one another!